Gangaram was not a pet crocodile, neither was he a small and feeble creature that was incapable of hurting anyone. However, he still managed to win hearts. 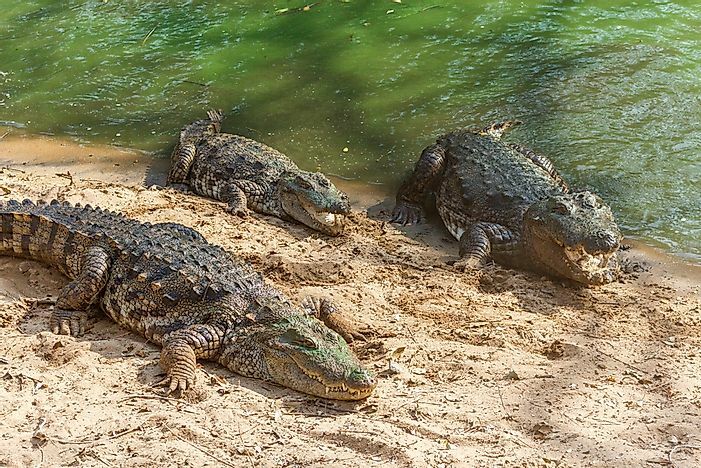 Crocodiles such as these can be found in India's freshwater. Indian culture is known for its strong association with nature and its various creations. For centuries, the people of India have peacefully co-existed with the country’s native animals and birds. The extreme extent of this animal-human bond is visible through one recent true story in particular. It takes place between Gangaram the crocodile and the human residents of the Bawamohatra village in India. Until recently, very few people knew about the existence of the Bawamohatra village in the Indian state of Chhattisgarh. However, on January 8, the village suddenly captured the attention of the globe due to a unique event that is beyond all imagination. On this day, the entire village gathered near the community pond to cry over the loss of their beloved crocodile, Gangaram. Gangaram was not a pet crocodile, neither was he a small and feeble creature that was incapable of hurting anyone. Gangaram was a fully-grown, three-meter long adult wild crocodile. He had lived for about 130 years (as per an estimate of Gangaram’s age by a forest department official) in the community pond of the village. On the morning of January 8, the villagers discovered that Gangaram had passed away. The forest department officials visited the site to inspect the cause of Gangaram’s death. After conducting a post-mortem in front of the teary-eyed villagers, they concluded that the croc had died of natural causes. By then, the villagers had decided to pay their tribute to the crocodile by giving him a full-fledged funeral. They arranged a tractor to carry Gangaram’s body to the funeral site. The crocodile’s body was decorated with garlands and flowers as a sign of love for him. The last rites of Gangaram were attended by about 500 people. After the funeral, the crocodile’s body was buried near the pond where it had lived all these years. While in most parts of the world, crocodiles are greatly feared for their predatory instincts, the story of Gangaram is one of its kind. Instead of being terrified of the creature, the villagers of Bawamohatra revered Gangaram as one would worship a deity. According to the accounts of one of the villagers, Gangaram was a friendly croc. Even the village kids swam in the same waters where he resided. Gangaram never hurt any of them. He would even shift to another side of the pond when someone was swimming near him – giving space to others, just like a true gentleman. The story of Gangaram and the villagers act as an inspiration to all of us. It teaches us that love conquers all. A predator won the hearts of villagers with its peaceful demeanor while the villagers also exhibited their tolerance towards the creature to result in a human-animal bond that created history. The villagers now want to build a statue of Gangaram near the pond to keep his story alive for the generations to come. More images and videos related to Gangaram are available here.